This patient had a desire for full lips. Dr. Rodriguez enhanced this patient's upper and lower lips with fat injections, sometimes known as Fat Transfer to the lips. This patient had a desire for full lips. 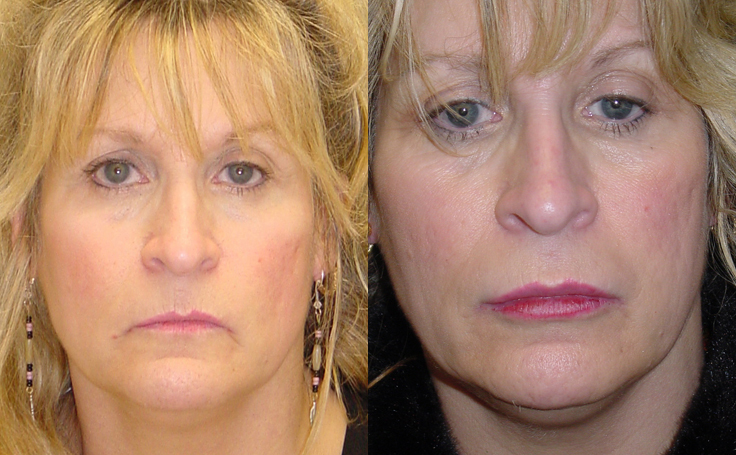 Dr. Ricardo Rodriguez performed Lip Augmentation to enhance this patient's upper and lower lips with fat injections. The procedure is also known as Fat Transfer to the lips. The fat was taken from the abdominal area, processed with a centrifuge, and then injected into the upper and lower lips. The procedure not only enhanced the size of the lips, but it also removed some of the fine wrinkles that the patient had around her lips. The Lip Augmentation procedure with fat transfer was performed in Dr. Ricardo Rodriguez's Baltimore office.